Matthew is a Pacific Northwest native, born and raised in Portland, Oregon. He earned an undergraduate degree in Biology and Environmental Science from Santa Clara University in California. After a brief time working in environmental consulting around the San Francisco Bay area, he realized that he had a different calling and sought a career in Healthcare. After volunteering and working at Stanford University Hospital, he went to Duke University in North Carolina to pursue his Physician Assistant training. His training included rotations in Surgery, Emergency Medicine, and behavioral health. He is most passionate about Internal Medicine and Primary Care where he can help people with their general health concerns. In his free time Matthew enjoys volunteering, hiking, fishing, and golfing. He and his wife Carrie live in Portland. 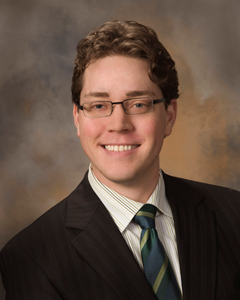 Matthew is a nationally certified Physician Assistant and licensed in the state of Washington. His clinical interests include: chronic disease management (hypertension and diabetes), sports medicine and acute/urgent care medicine.